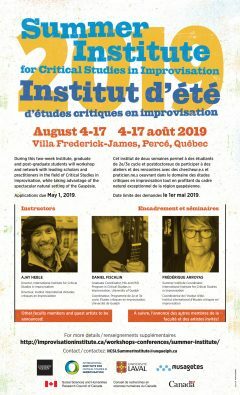 During this two-week Institute, graduate and post-graduate students will workshop and network with leading scholars and practitioners in the field of Critical Studies in Improvisation, while taking advantage of the spectacular natural setting of the Gaspésie. 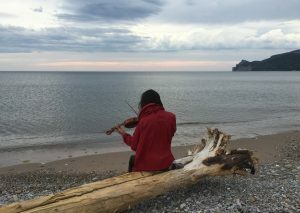 Situated in the heart of the Gaspésie region of Québec, the Summer Institute builds on three years of successful arts-based community projects in the area through our linked project Musical Improvisation at Land’s End / Coin-du-Banc en folie, and coincides with this year’s launch of the flagship Critical Studies in Improvisation MA and PhD programs at the University of Guelph, whose faculty (Arroyas, Fischlin, Heble, and Harley) will play an active role in designing and teaching in the Summer Institute. The Institute will include numerous opportunities for engagement both among experienced and emerging scholars and between scholars and local artists and communities. The Institute will be split into two distinct subsections. During the first week, students will join the Musical Improvisation at Land’s End /Coin-du-Banc en folie project to participate in exploratory sessions of applied improvisation, to explore their own improvisational practices and to participate in a shared experience of improvisational creativity, led by Marianne Trudel, the noted Montreal-based pianist, composer, improviser and arranger. In the second week, the group will move on to work on the subject of improvisation from a more traditional scholarly perspective, reflecting on their experiences in the first week and situating those experiences within a framework of salient research in the field of Critical Studies in Improvisation. Frédérique Arroyas is an associate professor in French Studies at the University of Guelph. Her research focuses on the intersections of music and literature in contemporary French fiction, the heuristic use of musical models, and the mediation of musical meaning in literary works. She is the author of La lecture musico-littéraire (2001) and articles that span French literature, women’s studies, theatre and music. She is currently developing methodologies for practice-based research in the field of language acquisition and improvisation that will forge new insights into the nature of language acquisition. Dr. Arroyas is co-editor of the Journal Critical Studies in Improvisation/Études critiques en improvisation and Revue Synergies Canada. Rebecca Caines is an award-winning interdisciplinary artist and scholar. Her artistic practice, teaching and research work crosses between creative technologies (including sound art, new media, and augmentation), contemporary performance and improvisation, site-specific art practices, and community-engaged art. She is currently playing a lead role in developing the new Creative Technologies area at the University of Regina, which is an exciting initiative crossing between Fine Arts, Computer Science and Engineering. She is a co-applicant on the 2.5 million dollar SSHRC funded partnership The International Institute for Critical Studies in Improvisation (IICSI), directing the new Regina Improvisation Studies Centre (RISC). She also convenes the Faculty research group REACT (Research into Art and Creative Technology) and coordinates the Arduino and Technology Crafting Group, a weekly informal drop-in working group for practical technology-based art projects open to Faculty and students. Her recent practice-based research projects include Community Sound [e]Scapes: Northern Ontario, a collaborative sound art, video and new media project in remote First Nations communities (with K-Net Services and Ed Video Media Arts); and The University of Regina iPad Orchestra, a creative project exploring improvised music with the iPad and other tablets and mobile devices (with David Gerhard and Pauline Minevich). 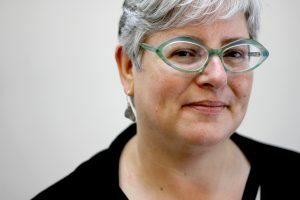 She has convened large-scale community projects in Australia, Northern Ireland and Canada, and serves on the board for Common Weal Community Arts, Knowhere Productions, and Holophon Audio Arts. She has published internationally, including a number of journal articles and book chapters and is co-editor of a book on improvisation entitled Spontaneous Acts: The Improvisation Studies Reader, with Ajay Heble for Routledge. University Research Chair Daniel Fischlin is a leading Canadian humanities researcher who has produced important cross-disciplinary work, including some twenty books with a wide variety of international presses. His most recent books include (with Ajay Heble and George Lipsitz) The Fierce Urgency of Now: Improvisation, Rights, and the Ethics of Cocreation (Duke UP) and a co-authored book with Martha Nandorfy entitled The Community of Rights • The Rights of Community (Oxford UP), the third in a trilogy of books co-written with Dr. Nandorfy on rights issues. Fischlin has received several major awards for teaching excellence and is to date the only winner from the Humanities of the prestigious Premier’s Research Excellence Award. As a musician and community organizer, he chairs the Board of Silence, a community artspace in Guelph, and is also the founding director of the newly launched MA/PhD program in Critical Studies in Improvisation at the University of Guelph. 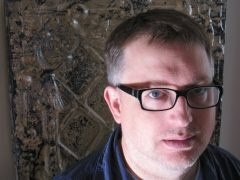 James Harley is a Canadian composer presently based in Ontario, where he teaches at the University of Guelph. He obtained his doctorate in composition at McGill University in 1994, after spending six years composing and studying music in Europe (London, Paris, Warsaw). His music has been awarded prizes in Canada, USA, UK, France, Poland, Japan, and has been performed and broadcast around the world. Some of Harley’s compositions are available on disc (Artifact, ATMA, Centrediscs, Dame, Kappa, McGill, Musicworks, PeP, Soundprints) and his scores are primarily available through the Canadian Music Centre. He has been commissioned by, among others, Codes d’Accès, Continuum, ECM, Hammerhead Consort, Kappa, Kore, New Music Concerts, Oshawa-Durham Symphony, Open Ears Festival, Polish Society for New Music, SMCQ, Transit Festival Leuven, Transmission, Trio Phoenix, Vancouver New Music. He composes music for acoustic forces as well as electroacoustic media, with a particular interest in multi-channel audio. As a researcher, Harley has written extensively on contemporary music. His book, Xenakis: His Life in Music (Routledge) was published in 2004, and his second book, Iannis Xenakis: Kraanerg (Ashgate) in 2015. As a performer, Harley has a background in jazz, and has most recently worked as an interactive computer musician, performing with Ken Aldcroft, Cam McKittrick, Joe Sorbara, Ellen Waterman, Gayle Young, and others. ~spin~ (duo with Ellen Waterman) put out a disc in 2015. 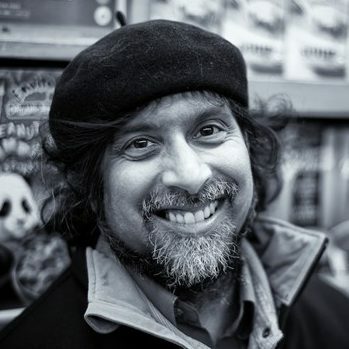 Ajay Heble is the founding Director of the International Institute for Critical Studies in Improvisation (IICSI), and Professor of English in the School of English and Theatre Studies at the University of Guelph. His research has covered a full range of topics in the arts and humanities, and has resulted in numerous books, articles, or chapters. 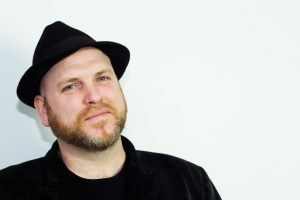 He is the founding Artistic Director of the award-winning Guelph Jazz Festival and Colloquium, and a founding co-editor of the peer-reviewed journal Critical Studies in Improvisation/Études critiques en improvisation (www.criticalimprov.com). Heble is also an accomplished pianist who, with Daniel Fischlin, records and performs with the improvising quartet, The Vertical Squirrels. Eric Lewis is the director of the Laboratory of Urban Culture for the Public Life of Arts and Ideas at McGill University, where he is a professor of philosophy. His research focuses on the philosophy of improvised arts. He is also an active improviser on brass and electronics. Kevin McNeilly teaches Cultural Studies and contemporary literatures in English at the University of British Columbia. He was the UBC site manager as well as the coordinator for the Text and Media research group for the Improvisation, Community and Social Practice research His research focuses on the intersections of improvised music and poetry, on media aesthetics, and on concepts and practices of listening. He has published articles on the music of Charles Mingus, John Zorn, and Steve Lacy, on television programs including The Wire, Battlestar Galactica and Buffy the Vampire Slayer, and on the work of a wide variety of contemporary poets, from Anne Carson to Robert Creeley. His book of poems, Embouchure, was published by Nightwood Editions in 2011. 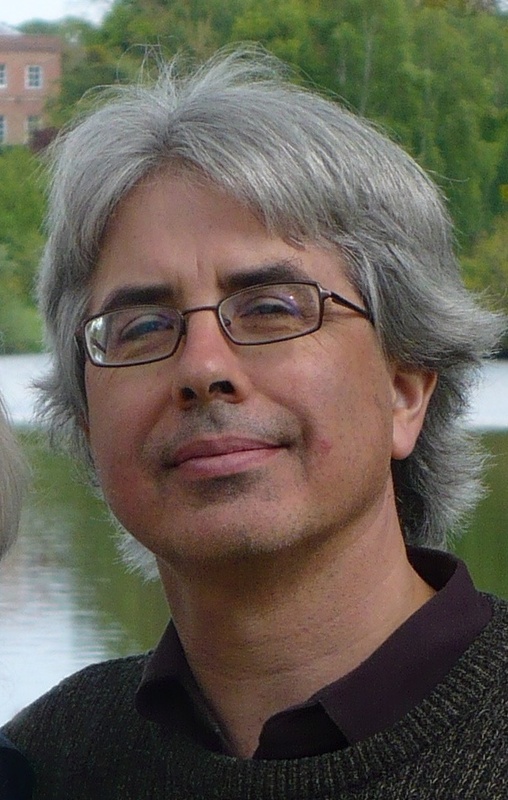 He maintains two blogs: Frank Styles (http://frankstyles.blogspot.ca), which concentrates on poetry and music, and Flow, Fissure, Mesh (http://flowfissuremesh.com), which concerns improvisation, media and pedagogy. His website, http://www.kevinmcneilly.ca, features audio, video, poetry and more. Jesse Stewart is a composer, percussionist, visual artist, researcher, and educator. His music has been documented on over twenty recordings including Stretch Orchestra’s self-titled debut album, which was honoured with the 2012 “Instrumental Album of the Year” Juno award. 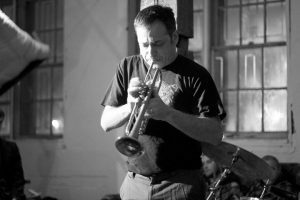 He has performed and/or recorded with musical luminaries including Pauline Oliveros, Hamid Drake, William Parker, Joe Mcphee, David Mott, Dong-Won Kim, and many others. His music has been performed at festivals throughout Canada, in Europe and in the United States and he has been widely commissioned as a composer and artist. His writings on music and art have appeared in such journals as American Music, Black Music Research Journal, Contemporary Music Review, Intermedialities, and in numerous edited anthologies. He is a professor of music in Carleton University’s School for Studies in Art and Culture and an adjunct professor in the Visual Arts program at the University of Ottawa. In 2013, he received Carleton University’s Marston LaFrance Research Fellowship. He has also received numerous teaching awards including a Carleton University Teaching Achievement Award, the university’s highest honour in recognition of teaching excellence. In 2014, he was named to the Order of Ottawa. Ellen Waterman is Professor and Helmut Kallmann Chair for Music in Canada at Carleton University. Previously she taught at Memorial University of Newfoundland where she was IICSI site coordinator. She is both a music scholar and a flutist specializing in creative improvisation. Her interdisciplinary research interests range across improvisation, contemporary performance, gender, sound and ecology. With Gillian Siddall, she is co-editor of Negotiated Moments: Improvisation, Sound and Subjectivity (Duke 2016). Her books on acoustic ecology and sound art include The Art of Immersive Soundscapes (with Pauline Minevich, 2013) and Sonic Geography Imagined and Remembered(2002). She is a member of ~spin~ duo (with James Harley) exploring the intersections between acoustic/electro-acoustic performance and real time multi-channel sound diffusion. Their multi-channel recording Like a ragged flock…was released in 2015 (Canadian Music Centre and iTunes). Ellen is founding co-editor of the online, peer-reviewed journal Critical Studies in Improvisation/Études critiques en improvisation. With Rob Jackson, she developed the Improvisation Tool Kit at www.improvcommunity.ca drawing together information from several community-engaged projects to create a free resource for teaching improvisation. 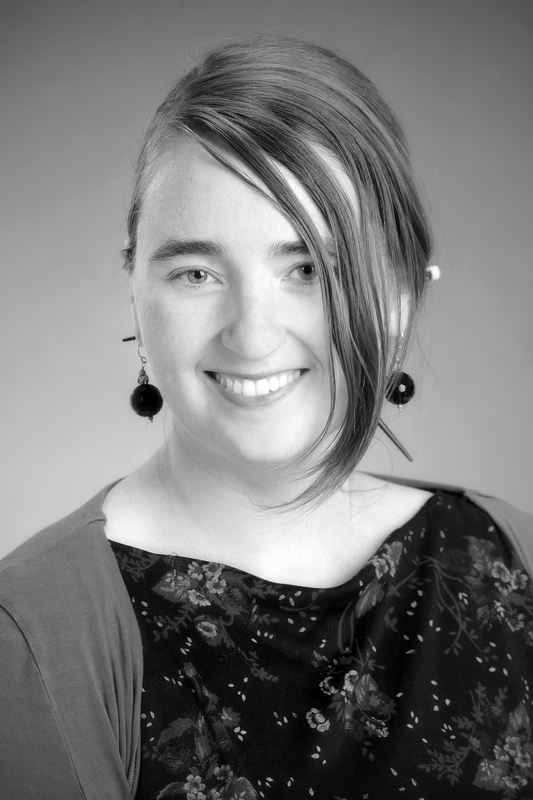 Ellen is site coordinator for IICSI-MUN which offers annual activities including a postdoctoral fellowship, a public speaker series Improvising Spaces, and an improviser-in-residence program. She also participates in a multi-site research project to develop the Adaptive Use Musical Instruments (AUMI) software interface, a musical instrument that enables people who have very limited controlled (voluntary) movement to independently engage in music making. Her work on AUMI may be found at https://voices.no/index.php/voices/article/view/834/739. Ellen’s current book project is a comparative ethnography of twelve Canadian music festivals, Sounds Provocative: The Ecology of Experimental Music Performance in Canada, www.sonicecology.com. There is a $500 fee for participants attending the Summer Institute. Students who wish to take the course for credit will also be required to pay additional tuition fees. In addition, participants will be required to pay for their own travel to and from the Institute, as well as for meals during the Institute (kitchen facilities available). Lodging will be provided at no additional cost. Please note that is a tentative schedule, subject to change. In addition to the schedule listed here, each morning will begin with an improvised musical opening. Each evening will provide space for open collaboration and jam sessions. For questions or more information, please reach out to us at [email protected]. 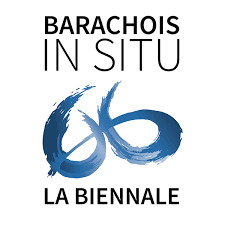 Au cours des deux semaines de cet Institut, étudiants des cycles supérieurs ou poursuivant un postdoctorat auront l’occasion de suivre des ateliers et de réseauter avec d’éminents chercheurs et praticiens dans le domaine des études critiques en improvisation, tout en profitant du cadre naturel spectaculaire de la Gaspésie. Situé au cœur de la région de la Gaspésie du Québec, l’Institut d’été se construit sur trois années de projets artistiques communautaires en lien avec le camp d’improvisation musical Coin-du-Banc en folie, et coïncide cette année avec le lancement emblématique du programme de maîtrise et doctorat d’études critiques en improvisation à l’Université de Guelph, dont les membres de la faculté (Arroyas, Fischlin, Heble et Harley) joueront un rôle actif dans la conception et l’enseignement de l’Institut d’été. L’Institut offrira de nombreuses possibilités d’engagement à la fois entre chercheurs expérimentés et émergents et entre les chercheurs, les artistes et les communautés locales. L’Institut sera divisé en deux sous-sections distinctes. Au cours de la première semaine, les étudiants se joindront au camp d’improvisation musicale Coin-du-Banc en folie afin de participer à des séances d’exploration d’improvisation appliquée, d’explorer leurs propres pratiques d’improvisation et de participer à une expérience de créativité d’improvisation partagée, dirigée par Marianne Trudel, la pianiste de renom, compositeure, arrangeure et improvisatrice montréalaise. Au cours de la deuxième semaine, les activités se concentreront sur le sujet de l’improvisation en prenant une approche scientifique plus traditionnelle, permettant de refléchir sur les expériences de la première semaine et de positioner ces expériences dans le cadre des études critiques en Improvisation. Ajay Heble est le directeur fondateur de l’Institut international d’études critiques en improvisation (IICSI), et professeur d’anglais à l’École d’études anglaises et de théâtre à l’Université de Guelph. Ses recherches ont porté sur une gamme complète de sujets dans le domaine des arts et des sciences humaines, et ont donné lieu à de nombreux livres, articles et chapitres. Il est le directeur artistique fondateur du Guelph Jazz Festival et de son colloque annuel, et un co-rédacteur fondateur de la revue Critical Studies in Improvisation/Études critiques en improvisation (www.criticalimprov.com). Heble est aussi un pianiste accompli qui, avec Daniel Fischlin, enregistre et joue avec le quatuor d’improvisation, The Vertical Squirrels. Daniel Fischlin, chaire de recherche universitaire, est un chercheur de premier plan en sciences humaines au Canada et a produit d’importants travaux interdisciplinaires, comprenant une vingtaine de livres ayant connus une grande variété de presses internationales. Ses livres les plus récents sont (avec Ajay Heble et George Lipsitz) The Fierce Urgency of Now: Improvisation, Rights, and the Ethics of Cocreation (Duke UP) et un livre co-écrit avec Dr. Martha Nandorfy intitulé The Community of Rights • The Rights of Community (Oxford UP), le troisième d’une trilogie de livres sur les droits de la personne. Fischlin a reçu plusieurs prix d’excellence dans le domain de l’enseignement et est à ce jour le seul gagnant de la prestigieuse Bourse du Premier ministre pour l’excellence en recherche, dans le domaine des Sciences Humaines. En tant que musicien et organisateur communautaire, il préside le conseil d’administration deSilence, un local artistiquecommunautaire à Guelph, et est également le directeur fondateur du programme MA / PhD d’études critiques en improvisation, nouvellement lancé à l’Université de Guelph. 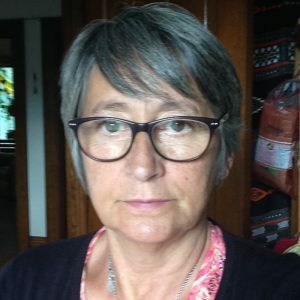 Frédérique Arroyas est professeure agrégée en études françaises à l’Université de Guelph. Ses recherches portent sur les intersections musique et littérature, sur l’utilisation heuristique des modèles musicaux, et sur la médiation du sens musical dans les œuvres littéraires. Elle est l’auteure de La lecture musico-littéraire(2001) et d’articles qui couvrent la littérature française, l’études des femmes, le théâtre et la musique. Elle développe actuellement des méthodes de recherche fondées sur la pratique dans le domaine de l’acquisition du langage et de l’improvisation qui structureront de nouvelles idées sur la nature de l’acquisition du langage. Dr Arroyas est co-rédactrice en chef de la revue Critical Studies in Improvisation/Études critiques en improvisation et de Revue Synergies Canada. Jesse Stewart est un percussionniste, compositeur, improvisateur, artiste visuel, créateur d’instruments, écrivain et éducateur de renommé. 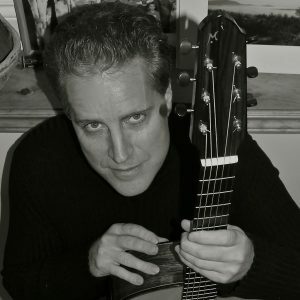 Il est professeur de musique à l’Université Carleton et professeur auxiliaire au Département d’arts visuels à l’Université d’Ottawa. En 2012, il fonda un organisme nommé “We Are All Musicians” (WAAM) qui fut inspiré de sa ferme conviction que “la musique est un droit fondamental à l’être humain et que tout le monde mérite la chance de faire de la musique, peu importe le niveau de formation, circonstances socio-économiques et/ou la capacité physique ou intellectuelle”. Des frais de 500 $ seront demandés pour les participants de l’Institut d’été. Les étudiants souhaitant suivre le cours pour crédit universitaire seront également tenus de payer des frais de scolarité supplémentaires. De plus, les frais de transport à l’allée et au retour de l’Institut sont à la charge des participants ainsi que leurs repas tout au long du séjour (installations de cuisine disponibles). L’hébergement sera fourni sans frais supplémentaires. Veuillez noter que ce calendrier est susceptible d’être modifié. En plus des activités indiquées ci-dessous, chaque matin débutera par une ouverture musicale improvisée. En soirée, du temps sera aménagé pour permettre aux participants d’échanger, collaborer et s’impliquer dans des séances de musique improvisée. Pour toute question ou demande d’information supplémentaire, contactez-nous à [email protected].